Winner of the Taylor Wessing Photographic Portrait Prize 2011 announced at the National Portrait Gallery. The Taylor Wessing Photographic Portrait Prize return is another success. The small rooms in which the exhibition of 60 portraits is hosted are filled up with visitors. Despite the small entrance price the Taylor Wessing Prize 2011 confirms to be one of the most significant photographic exhibition in the UK. The Taylor Wessing Photographic Portrait Prize 2011 has been won by Jooney Woodward, 32, for her portrait, ‘Harriet and Gentleman Jack’. 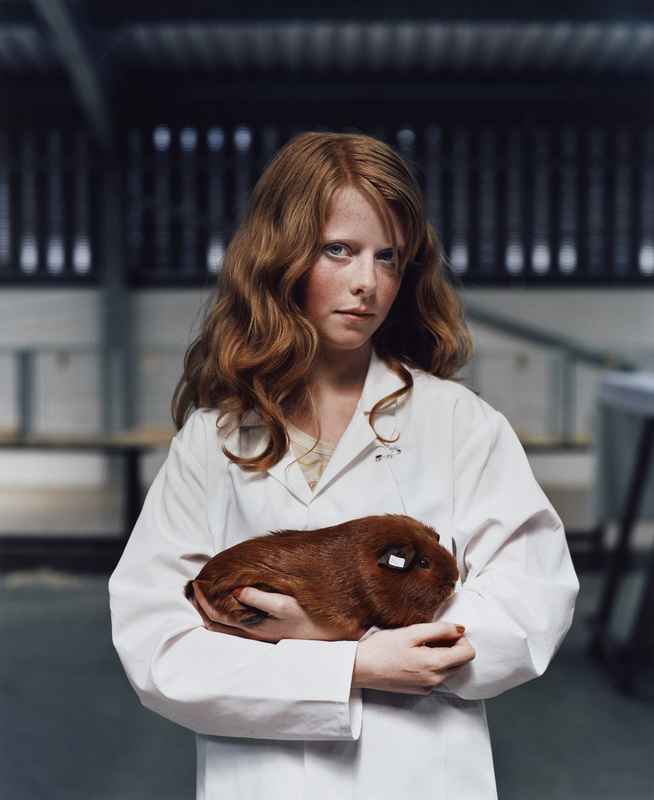 The portrait of 13-year-old Harriet Power was taken in the guinea pig judging area at the Royal Welsh Show. Woodward says: “I found her image immediately striking with her long, red hair and white stewarding coat. She is holding her own guinea pig called Gentleman Jack, named after the Jack Daniel’s whisky box in which he was given to her. Using natural light from a skylight above, I took just three frames and this image was the first.” Woodward was awarded with £12,000. She found her sitter whilst scouting for potential subject matter amongst the sheepdog trials, livestock competitions and regimental bands at the agricultural show in Builth Wells, Powys. The portrait was shot on film with a Mamiya RZ medium format camera. Born in Londonin 1979, Woodward grew up in Dorsetand returned to the capital to study Graphic Design at Camberwell College of Arts, specialising in photography in her final year. Her degree show portraits of her parents were highly commended in The Observer Hodge Photographic Award in 2001. After graduation Woodward worked in the Vogue Photographic Archive of Condé Nast Publications before pursuing a career as a freelance photographer from 2009. The winning portrait has unleashed the critics about the second following year of a portrait winner of a read-headed girl with an animal at the National Portrait Gallery. Not only experts but many, it seems, did not agree with the portrait to be the winner wondering if this was really the best in between the 6,033 portraits submitted by 2,506 photographers from around the world. The Third Prize of £1,500 was for Dona Schwartz for ‘Christina and Mark, 14 months’ from the series ‘On the Nest’. Born in the US in 1955, Dona Schwartz is an Associate Professor specialising in Visual Communication at the School of Journalism and Mass Communication at the University of Minnesota. 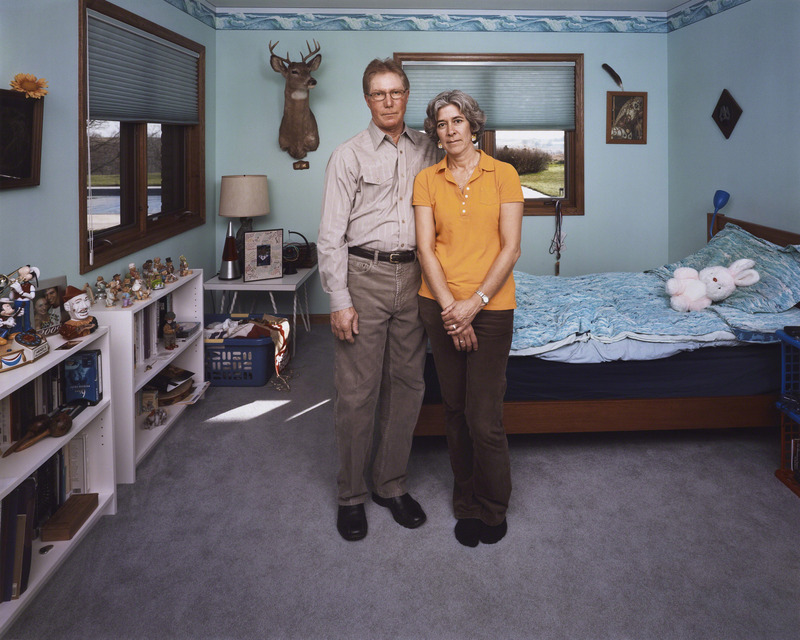 Her shortlisted portrait is of Christina and Mark Bigelow from Minnesota in their son’s vacated bedroom. The image is from her current series, On the Nest, documenting moments of change in parents’ lives, and this photograph explores the emotions experienced by parents as their children leave home. The Fourth Prize of £1,000 was for Jasper Clarke for ‘Wen’. Born in the UK in 1978, Clarke studied at Edinburgh’s Napier University before moving to London to assist many high-profile photographers including Nadav Kander and Liz Collins. 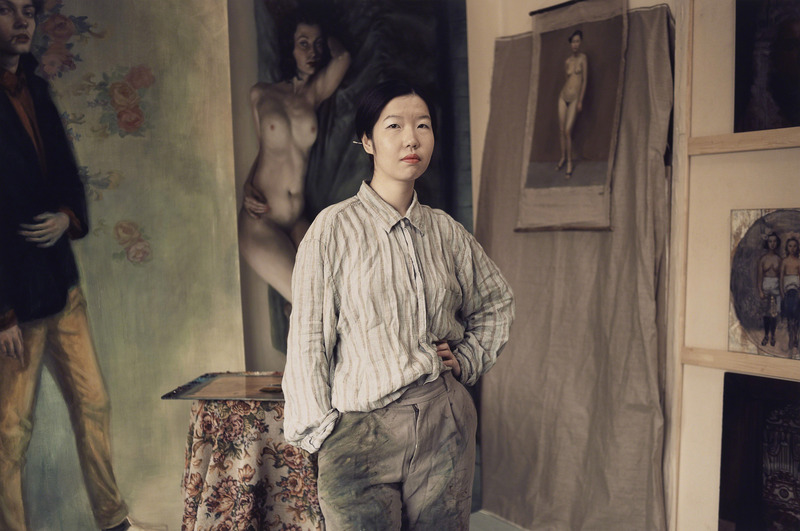 His shortlisted portrait taken in Hackney is of Wen Wu, a Chinese artist and is from a personal project depicting artists, musicians and other creatives who live in their work spaces. 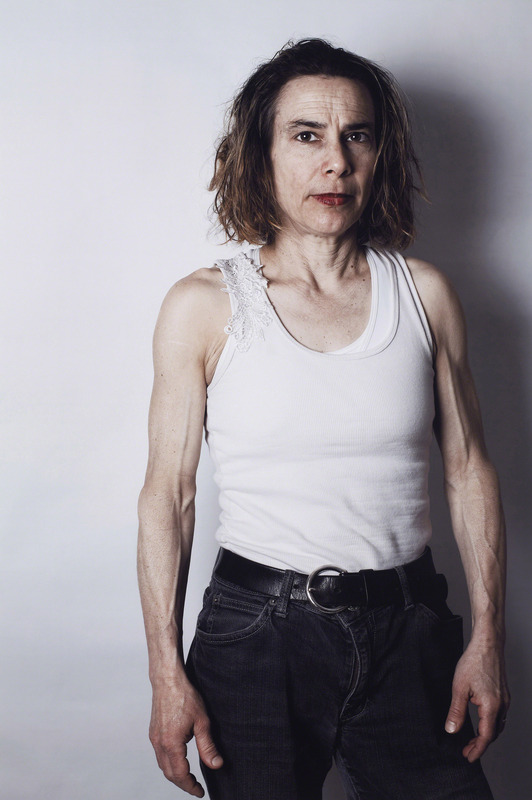 Clarke says: ‘The portraits are not intended to elicit sympathy for the cash-strapped artist; they are more a celebration of people’s dedication in following a path no matter what the obstacles.’ Leaving school without qualifications in 1991, Clarke began taking pictures with a camera given to him by his father. After his photographs initially being published in bike magazines he has gone on to shoot fashion campaigns for Paul Smith, Converse and Umbro. Jasper Clarke is also the winner of the ELLE Commission 2011. He will be given the opportunity to shoot a feature story for ELLE magazine. Now in its third year, the ELLE Commission was judged by the fashion magazine’s creative director, Marissa Bourke, together with the art director, Tom Meredith, and picture editor, Flora Bathurst. David Knight with ‘Andie’ was awarded with the Fifth Prize of £500. He was born in Oxford in 1971 and currently lives in Australia with his wife and twin boys. 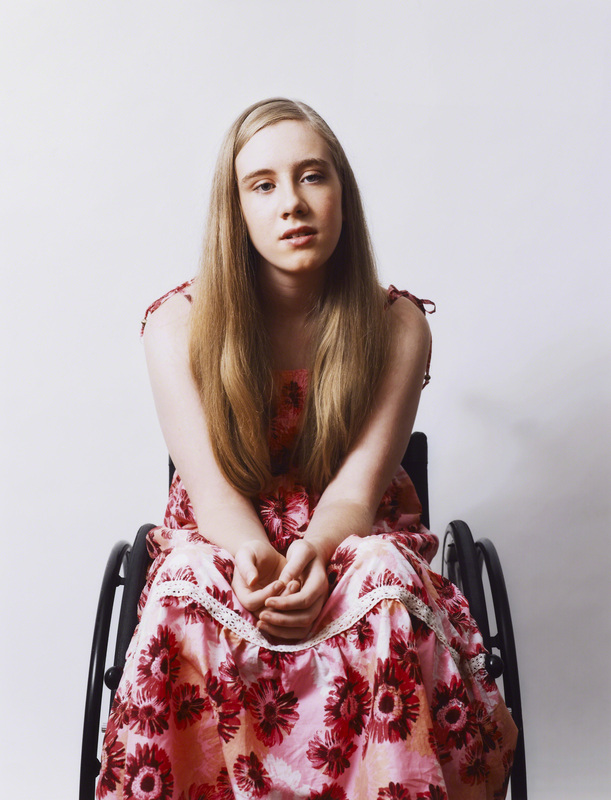 His portrait of 15-year-old Andie Poetschka was commissioned by Loud for the Cerebral Palsy Alliance to raise awareness of the condition throughout Australia. He says: ‘I wanted the portraits to be positive and to convey the kids in an uplifting way. You don’t immediately notice Andie is in a wheelchair; you just see a beautiful young woman. The image doesn’t demand you look at it, but gently draws you in.’ He began his career assisting advertising photographers in London and Oxford before working in Dubai on a broad range of assignments across the region, including for Saatchi & Saatchi. He currently works in Sydney for advertising clients but manages to devote time also to portraiture and people-orientated assignments. At the National Portrait Gallery, 2 St. Martins Place, London, WC2H OHE.